Radio essays recorded in the writer's own voice about topics related to northern Minnesota art, culture and history. Made possible in part by the Minnesota Clean Water, Land, and Legacy Amendment. 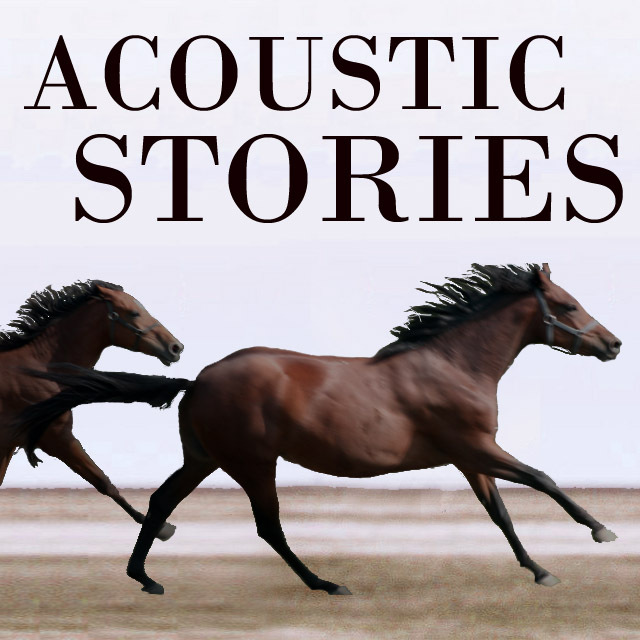 As of July 1, 2015, Acoustic Stories will continue as Arts Review. Steve Downing attends the 3rd Annual Rural Arts & Culture Summit at the Univ of Minn-Morris. His view on arts? Art is thriving in rural Minnesota. Steve Downing visits Native North American artist, Leah Yellowbird, at the Artists in Residence Studio at the Old Central School in Grand Rapids. Steve Downing reviews the Beat Cafe III and the Bemijigamaag Powwow. Acoustic Stories: Steve Downing - Tall & Small Jazz Duo, The Zodiac Trio chamber group. An awesome invitation to attend a powwow. What's the best part of a powwow?